Do exercise caution if ya arent to familiar with editing the reg, cant stress that enough! *Try to use other images and sounds atmost the same size and store to the \windows\ so memory wont be hogged! i tried replacing the default images (basically the t-mobile startup and shutdown) in the windows folder and restarted my phone to test, but the t-mobile defaults still show up. any idea how to tweak this? Did you go into the registry and change the name to the new gif's after putting them into the \windows\? Or did you just replace the originals? This works just like the button remapping. 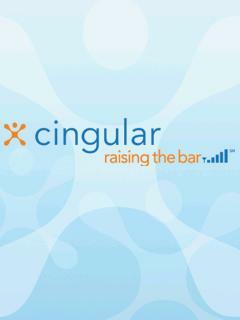 If anyone who has Orange or Cingular can give me their startup & shutdowns, much appreciated! 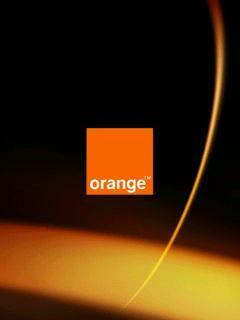 I've got french C600 / orange rom. shutdown gif is rightly in windows directory as mentioned, but startup isn't (and neither indicated in mentioned reg key). I've got one in ROM extension, I've extracted it and converted to jpg. i did it both ways. should i change the directory from windows to something else? i cant get it to work either way - perhaps because my phone is the US version? Instructions and download 8 posts down by The Doctor. Thanx for the O2 startup/ shutdown's Scudo. 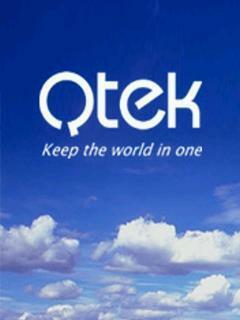 Can anyone provide Imate's, Cingular's or Qtek's? awesome!! thank you for your help! is there any way to change the other two startup screens on the t-mobile SDA as well as the shutdown screen with the tool you provided a link to? i used the tool to change the initial startup screen and it worked but after a few seconds it switches back to the animated t-mobile screen and then the windows mobile screen. i poked around the tool menus but i was unable to find a way to change these additional screens. no, TyphonNBFtool can change the startup screen, as it is loaded before wm5 and is in the bootrom. to change the other startup screens & the shutdown, it's in registry as mentionned in first post of this topic. Now, just to let y'all know, I do not have any artistic talent by any means of any imaginations, unless when it comes to music. That being said, I wanted a HTC splash screen and so I created my own crappy version, if someone has a better version, by all means, post it and thank-you in advance. Using both my method listed 1st and Lopezpm (thanks for listing 2125, its the same style with SDA), you should be able to remove and add new splashes. If you manually edit these also you will be able to change the shutdown splash. Im using the Cingular startup and Vodafone shutdown now. I changed the jpg images to PNG and it works fine too (I dont think that's important though). I tried using the HTC image (from skippythenurse) to replace the ms_splash image on startup, but it wouldnt work. That's the only thing I havent gotten to work so far. Also Im trying to cut down wav sounds of a motorcycle revving up and a crappy car trying to start to use also! Nice collection of splashes!!!! If you can afford the room, you should also try the QVGA quality screens at Mobiholics! LOL! found it... it was in "system"
I have got both the orange startup and shut down images. How do i put them on my phone and make them work as starting up and shutting down? My artistic attempt at HTC branded startup/shutdown display screens. However I couldn't get the animation to work on my 2125 - any ideas why? I just see the first frame. I have got the Startup and Shutdown Screens to change 2 T-Mobiles, just need an animated Shutdown Screen if anyone has got an animated T-Mobile Shutdown Screen then PM me please. Also I am having trouble changing my startup and shutdown sounds to T-Mobile ones. Can Anybody Send Me Too The o2 startup - shutdown images. and it dosent matter if their not, but anyone who has the 240x400 ones would be perfect. if not i will resize them myself. do you happen to have a .gif version of orange startup.